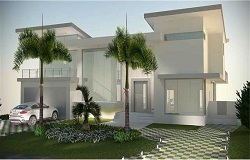 New construction homes in Key Biscayne offer the ultimate in location, luxury and modern features. Many new construction homes in Key Biscayne are modern contemporary architecture with walls of glass and high energy efficient designs. The most exclusive new construction homes in Key Biscayne are waterfront homes located along Biscayne Bay or on a canal with access to the bay. New homes for sale in Key Biscayne range from $5-10 million or more. Save your search to receive instant email alerts of new listings that match your criteria. Thinking About Buying or Selling in Key Biscayne? Nobody knows Key Biscayne real estate better than The Jo-Ann Forster Team, your trusted Key Biscayne Realtor. We have been successfully selling real estate in South Florida for over 30 years and have a proven track record for delivering exceptional service and results for our clients. Give us a call today at 305-468-4558 or use the form below to contact us by email and let us know how we can help you. The data relating to real estate on this web site comes in part from the Internet Data Exchange program of the MLS of the Miami Association of REALTORS®, and is updated as of April 24th, 2019 at 11:09am EDT (date/time).